A 197.1k sf, single-tenant industrial property in San Bernardino traded hands. The property, located at 5080 Hallmark Pkwy, was acquired by an unnamed institutional investor. 5080 Hallmark Parkway is NNN-leased on a long-term basis to Tree Island Steel, a publicly traded wire products producer for a diverse range of industrial, residential construction, commercial construction and agricultural applications. The property has clear heights ranging from 25 to 30 feet, 16 dock-high loading doors, two grade-level doors, one door with ramp-to-grade level and low office finish. Situated on 7.59 acres, 5080 Hallmark Parkway is proximate to Interstates 215, 210 and 15, which provide access to San Bernardino and Ontario International Airports; BNSF and Union Pacific intermodal container facilities; and the Northern Hemisphere’s largest port system, the port complex of Los Angeles and Long Beach. 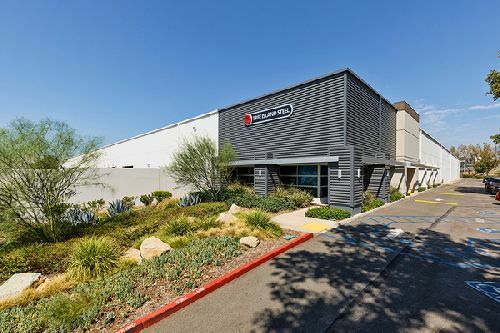 Andrew Briner and Michael Roberts of HFF, along with Frank Geraci and Juan Gutierrez at Voit Real Estate Services, represented the seller, a joint venture between Shaw Development and Penwood Real Estate Investment Management LLC.